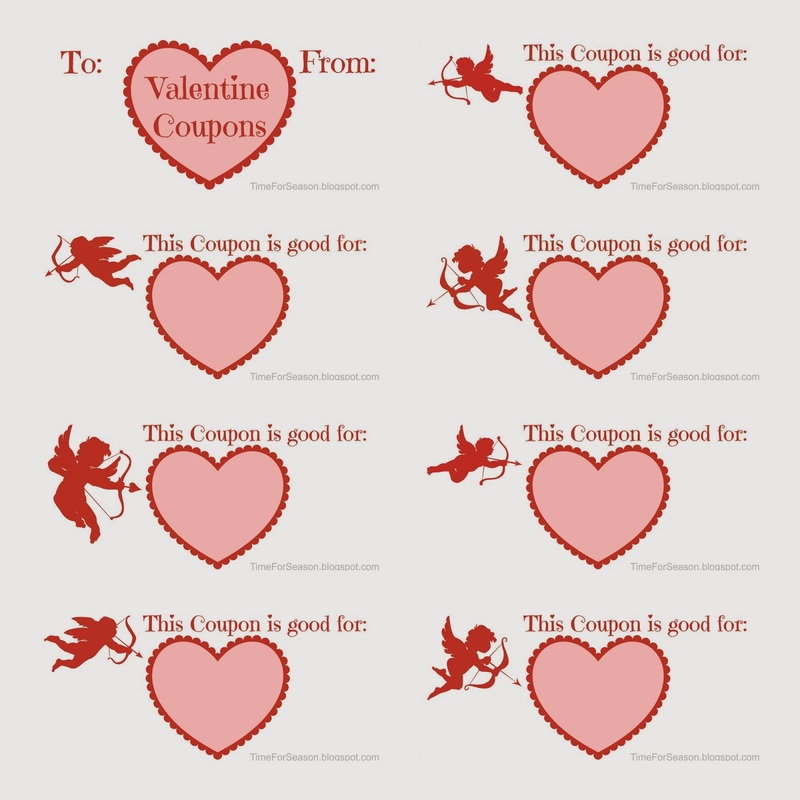 Over the years there have been times when we haven't' had much of a budget to celebrate Valentine's Day. A few of those years Chris has surprised me with coupons. As silly as they sound, I have always enjoyed the personalized, thought out gift. And I have used everyone of those coupons! 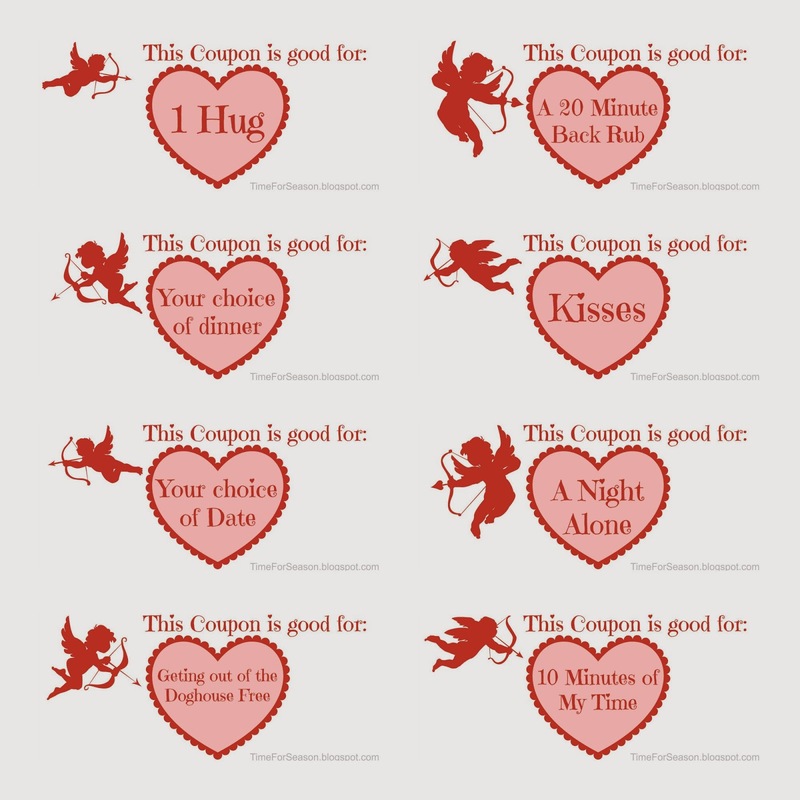 I have put together some coupons that you can print and use for your sweetheart or some even for the kids. 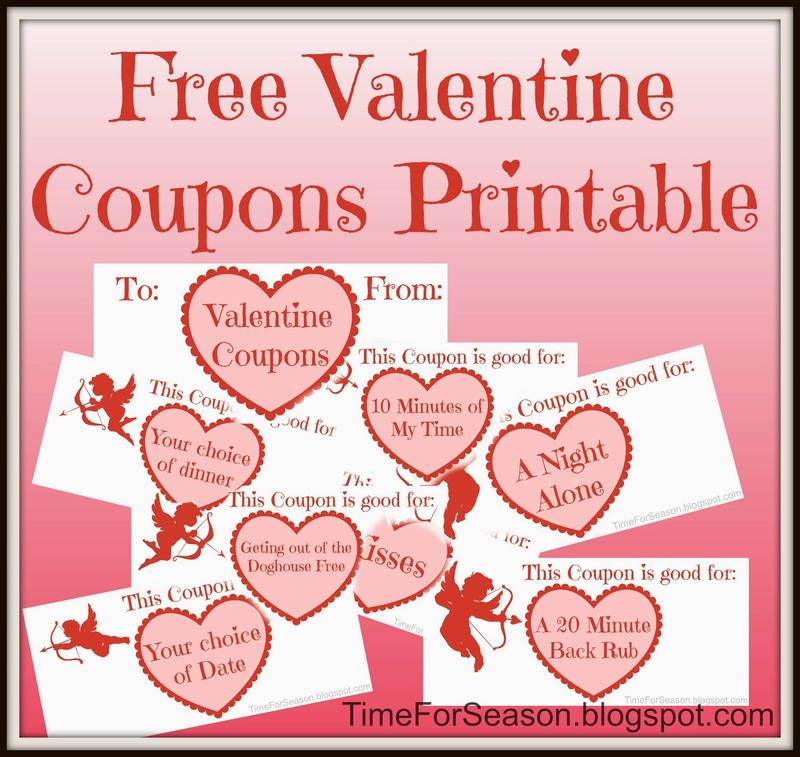 I intend on you to use the blank set to make your coupons as personalized as possible, but have include some premade ones as well. You can easily use these for you kids too. Try some things like: Get out of one chore, 10 Minutes of my time, Date night with mom/dad, a 5 Minute talk, or 1 answer to a homework problem. Just think about your spouse or child's love language and speak it! !